A fun family party game with a range of scents and sounds! 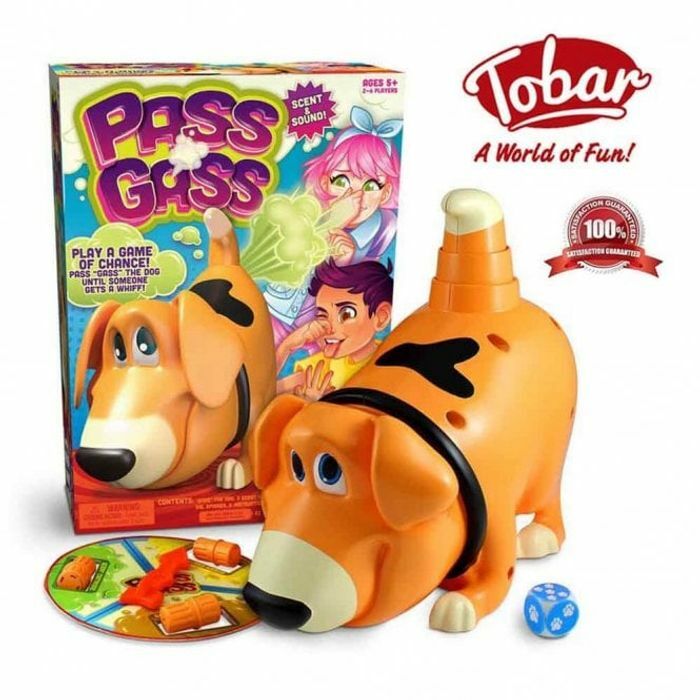 Pass Gass challenges players to roll a dice and then pump the dogs tail the stated number of times. After a random number of presses, the dog will make a flatulent noise and emit a scent from its rear end, eliminating the player who triggered it from the game. The set includes a spinner, dice, plastic dog and three different scent cartridges that range from sweet smells to unpleasant ones. What do you think of this TJ Hughes deal?